Happy Friday! 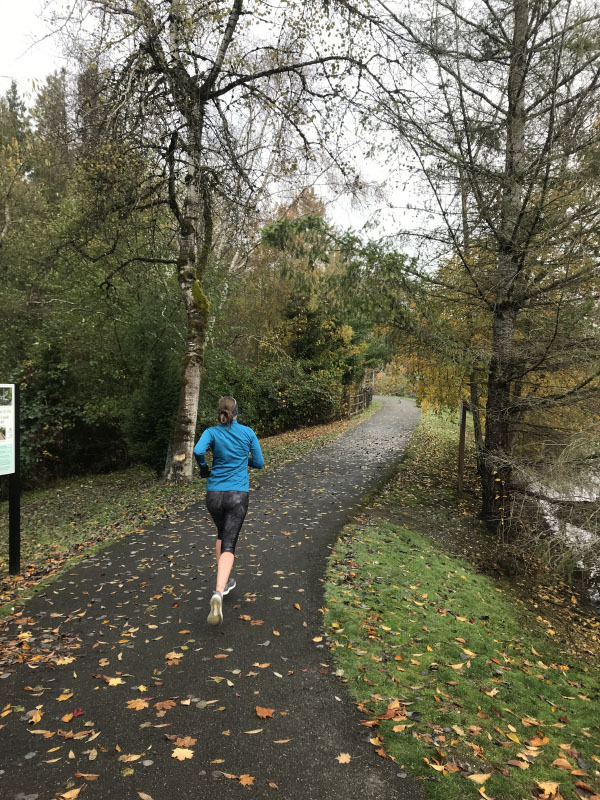 Every week, Friday Thrive features some of my favorite things from the week, from running to beer and everything in between. 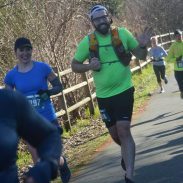 First off, thank you so much for the kind and supportive comments on Wednesday’s post about my marathon goals and upcoming surgery! I cannot express my gratitude enough! Our winter spiced ale is fermenting away in our brew closet, so while we wait several weeks before it is ready to drink, we are enjoying other holiday beers. 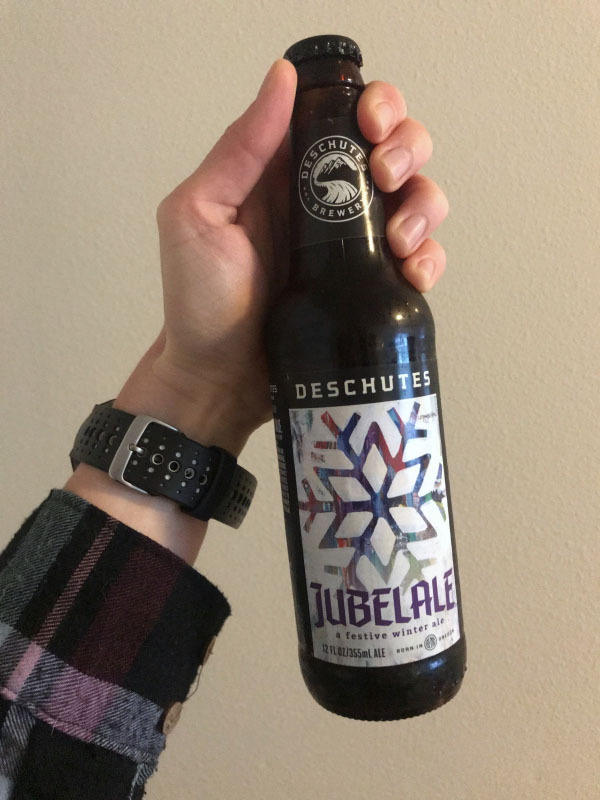 Deschutes Brewery’s Jubeale is my current favorite, with a warming spice, just the right amount of hops to balance the bitter and sweet flavors, and notes of cocoa, toffee, and dried fruit. 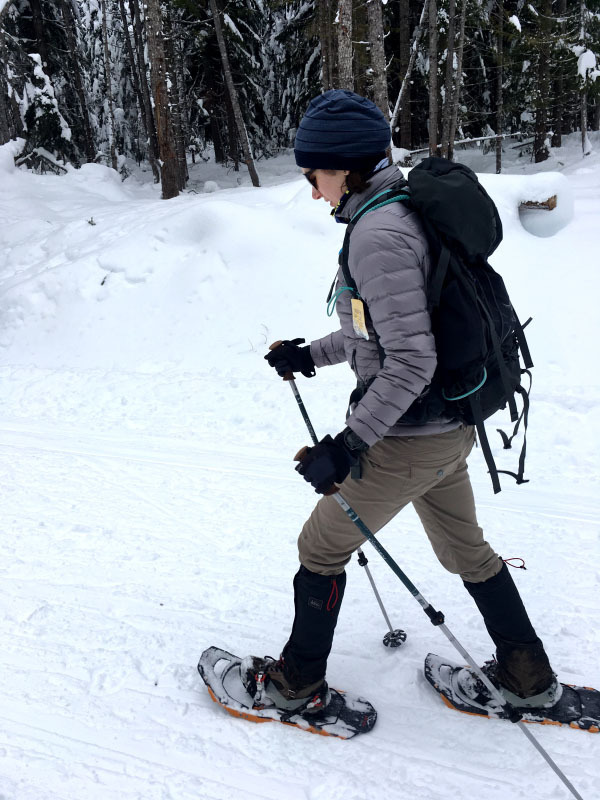 “Having a Debilitating Illness Taught Me to Be Grateful for my Body” by Ali Feller for Shape. 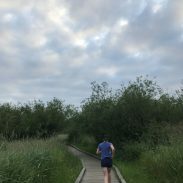 Feller deals with Crohn’s and shares how changing her perspective about her illness taught her to be grateful for her body and her running. 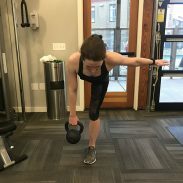 Whether you deal with injury, chronic illness, or neither, this article inspires you to realize just how much your body can do – running any distance at any pace is something to be grateful for. “The Athlete’s Guide to Healthy Grains” by Sunny Montefiore for Outside. I will never be a low-carb runner – I feel and run my best with complex carbohydrates in my diet. My current favorites from this list are farro and oats. We’ve started replacing brown rice with farro in our burger bowls and stir fry (it cooks in about half the time). This article also reminds me to buy teff flour again so I can make teff pancakes! REI is having their Gear Up sale right now! Ryan and I got Patagonia Showshot snow pants for 30% off at this year’s sale (along with 20% off a pair of new Kinvaras for my marathon using their coupons!). The deals are incredible – PrAna, Patagonia, Osprey, and more are all on sale, plus members get additional 20% off full-price item coupons. I’m really excited about winter sports again this year. We’re trying downhill skiing instead of snowboarding this season and may also give Nordic skiing a try. I should be all healed up from my surgery by the new year and ready for a season of skiing and snowshoeing. Having a high-quality snow pant to keep me warm makes me even more excited – and I love the vibrant colors that Patagonia offers. Jennifer ran a strong 5K on an icy day! Jill ran the Las Vegas RNR Half Marathon! Jamie ran the Las Vegas RNR Marathon! Natalie crushed her goal of a sub-2 hour half at Richmond! Leah set a half marathon PR and broke 1:35! Chaitali ran the Thor 10K and Avengers half marathon with strong and consistent paces in the two back-to-back races. What’s your favorite healthy grain? Are you excited about winter sports? That beer sounds so good! I’ve never tried farro. We usually make brown rice or quinoa. Have a great weekend! I read the article on grains and it reminded me to pick up Teff again. It’s so good! I may try skiing again…18 years later. This may get ugly! Lol! “I will never be a low-carb runner.” I totally agree. We share the same opinion. However, I did replace my ordinary rice with quinoa rice. Is that better? That beer sounds so good! I really like faro! I haven’t made it at home but I love to order it when it’s on the menu at restaurants.